Global oil refining capacity is set to increase at its fastest pace on record this year, possibly boosting stocks of products such as diesel, gasoline and marine fuel, the International Energy Agency said on Friday. It was not clear yet what that meant for margins, which slumped as the price of crude rose last year, said the Paris-based IEA, which coordinates the energy policies of industrialized countries. "This (demand growth) utilizes only half of the new capacity coming on stream. If refining margins are supported by accommodating crude prices, utilization rates will not decline. This should mean that product stocks will increase," it said. An increase in stocks of refined products could be "useful", the IEA said, ahead of the implementation next year of regulations by the International Maritime Organization to reduce sulphur content in shipping fuel. 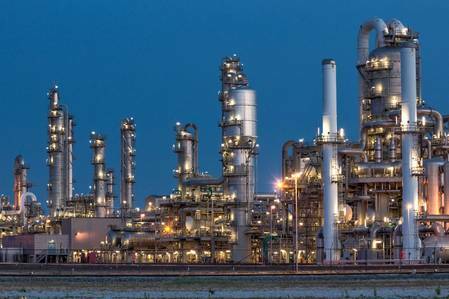 "The global refining industry is facing a challenging 2019 ... If average crude prices continue moving higher for the third consecutive year, refining margins may decline to levels that force slowdown in some refining regions," the IEA said.